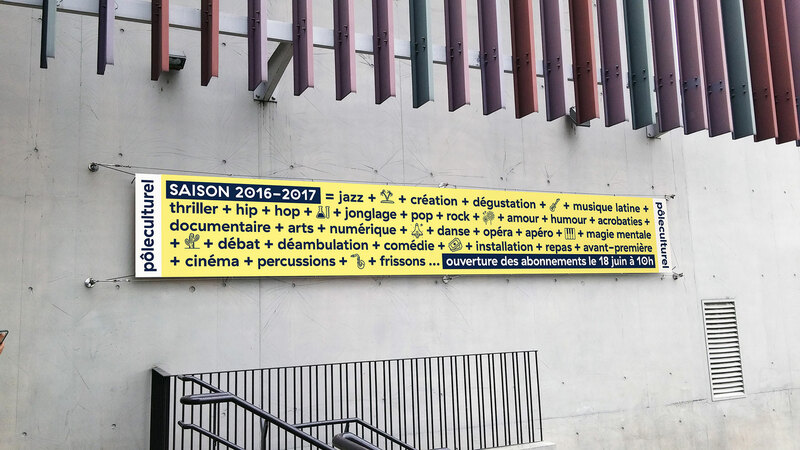 Pôle Culturel has a wide program of theater, dance, comedy, cinema, classical music, jazz, circus, etc. 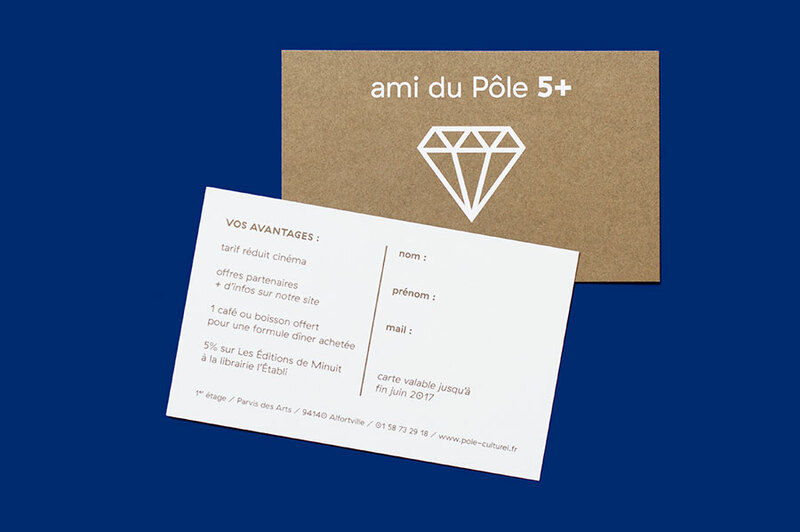 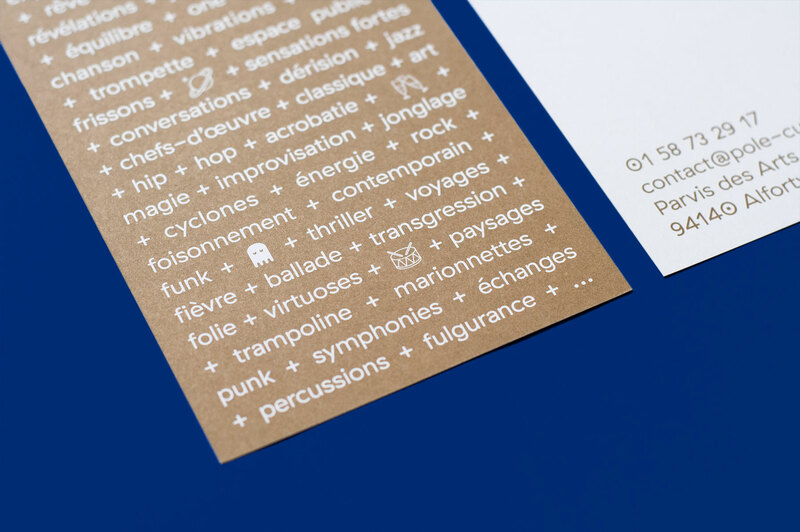 It is open to all public and radiates throughout the Parisian region. 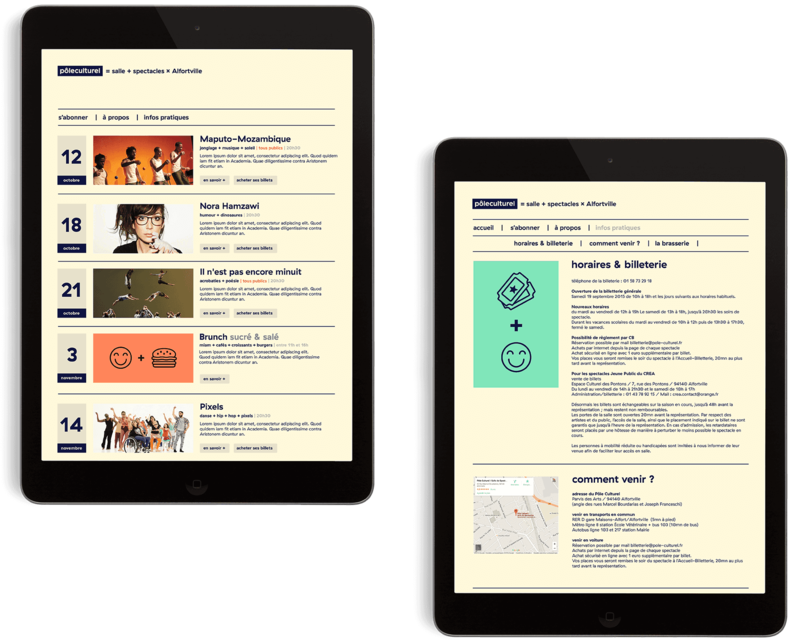 We designed a flexible graphical and semantic system to accommodate and represent the diversity of the performances and audiences, operas to "apéros", from young to seniors. 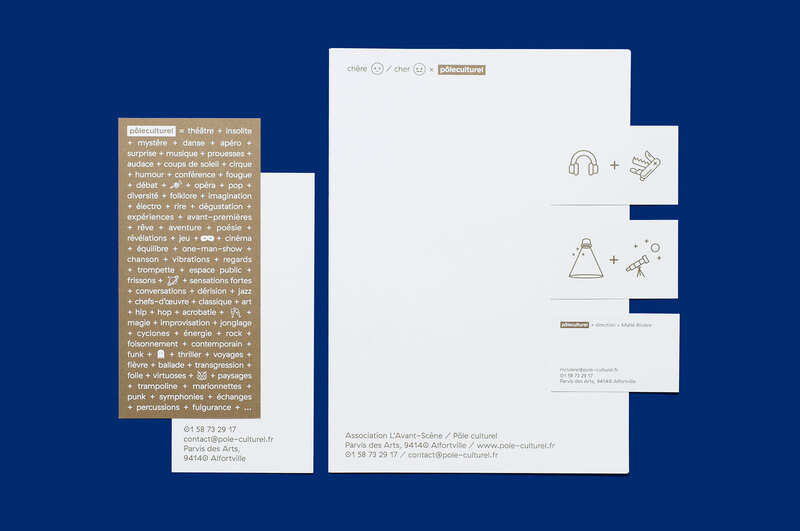 We played with various forms of language, by mixing words, images and pictograms. 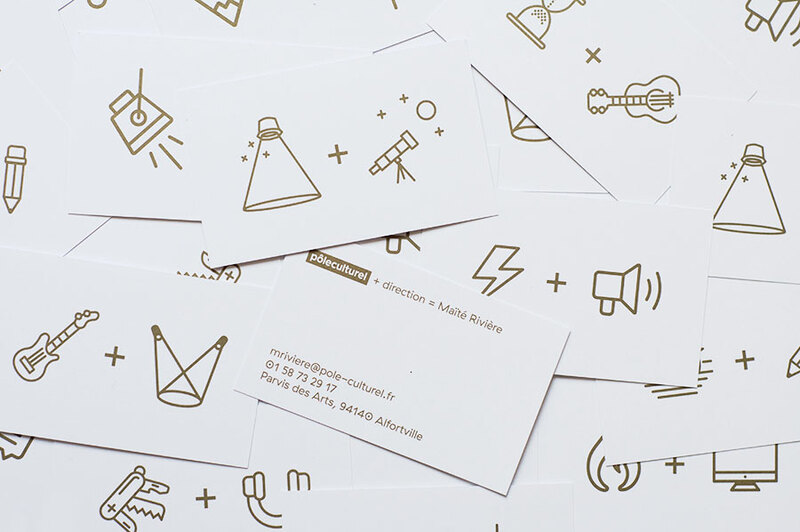 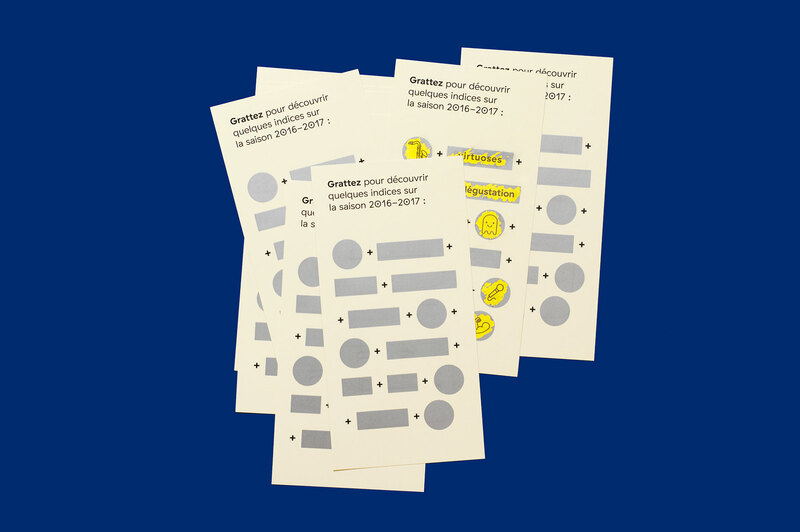 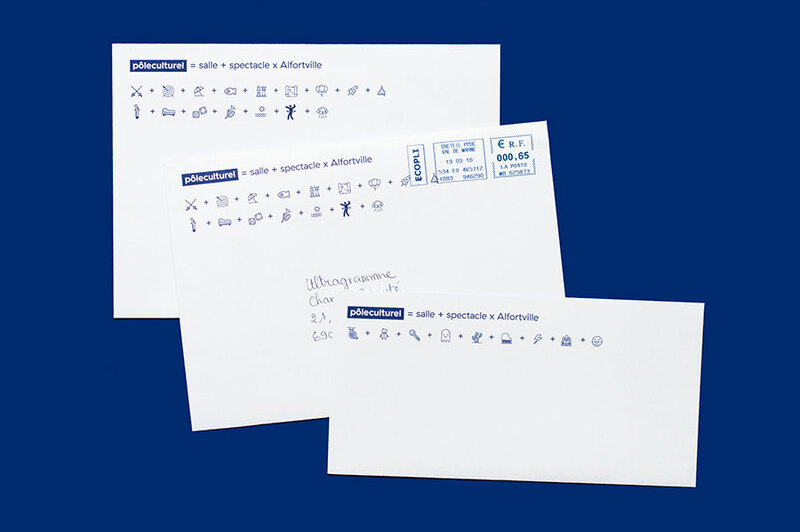 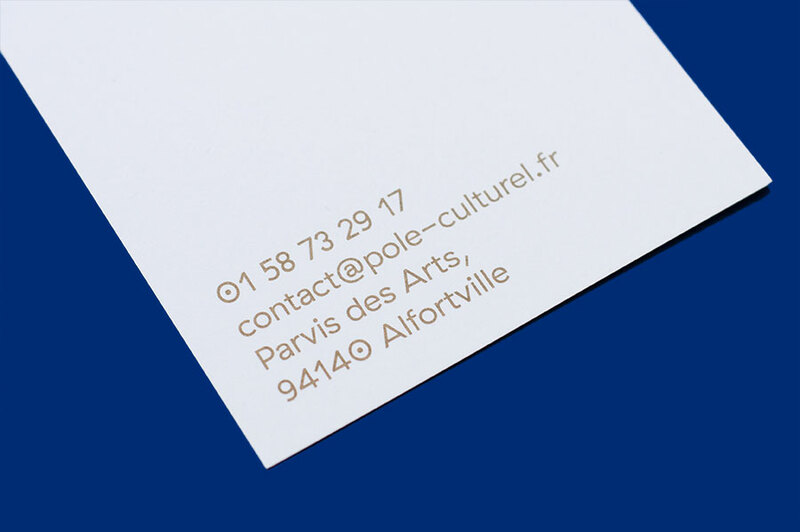 All stationary elements were printed in spot colors : dark blue and gold.